Sometimes I make things that I like, but Jack doesn’t like, and then it means a lot of food for me. I should try doing this more often. 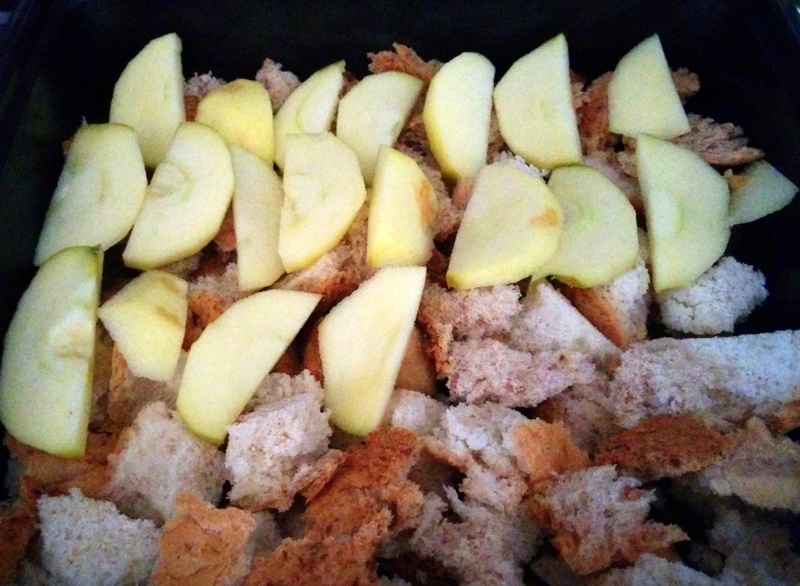 There was one lovely lazy Saturday morning where we decided to have a lie-in instead of exploring central London, so I decided to make use of the bread heels that I had been freezing and the surprise apples that had found their way into our house (I actually don’t remember buying them) and make… bread pudding! In my defense I was feeling very English. And bread puddings are English, right? 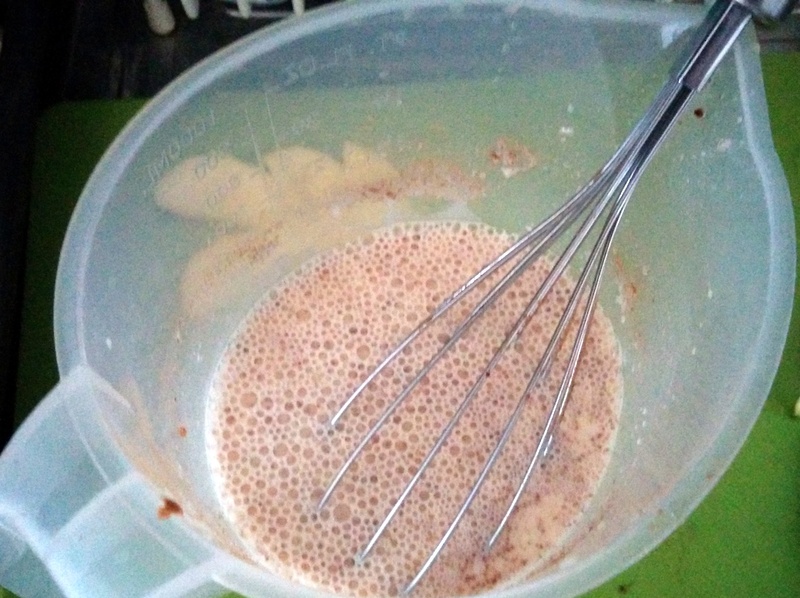 (Here’s a recipe similar to the one I used, if you’re interested). So we start off here with two apples. I think one of them was from a student. Then we tear up our bread heels. A mixture of breads is shown here: Caribbean hard bread, British wholegrain and some random rye and grain stuff that was on clearance. And pour over the whole shabam. 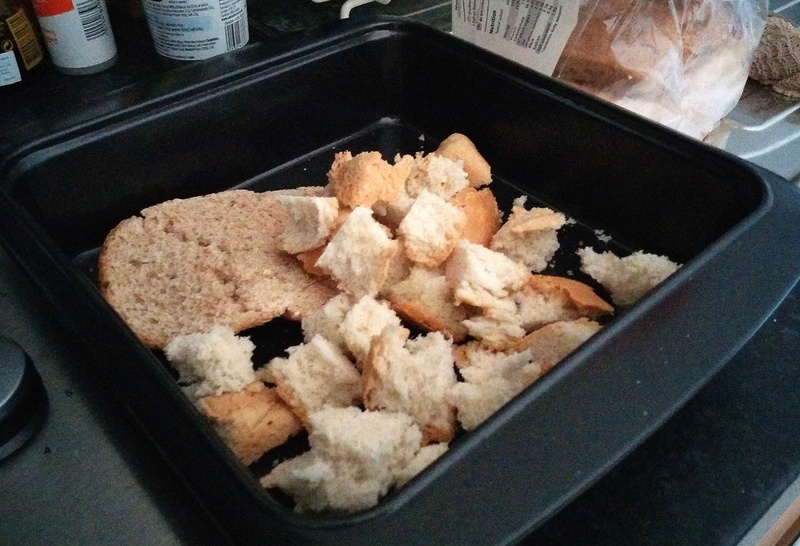 I mean, bread mixture. Add a decorative flower on top with your remaining apple slices. 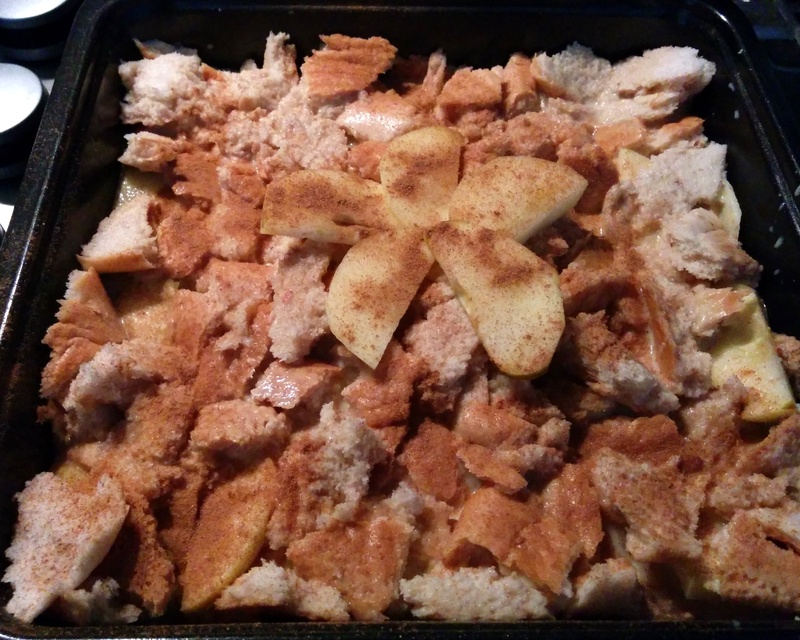 Bake for a while and suddenly you’ve got apple pudding. 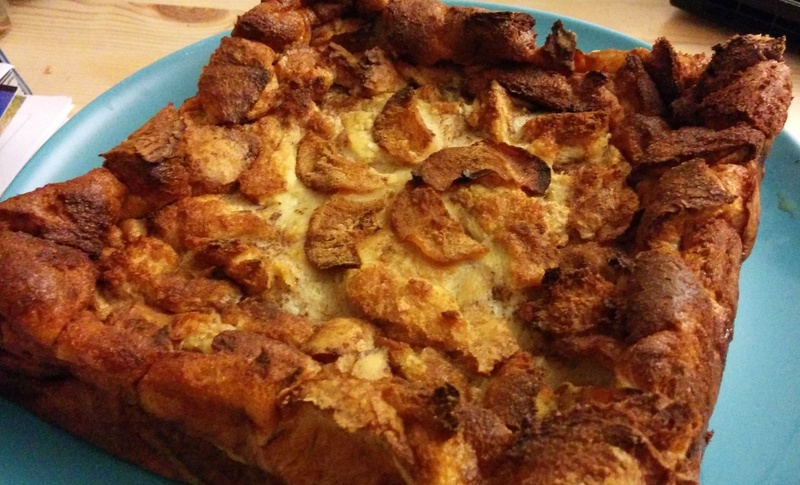 Serve with warm custard and enjoy it mostly all to yourself because Jack doesn’t like bread puddings. The texture was that of a moist, soft loaf which unfortunately lacked texture but scored alright on texture. Eventually I’ll get around to making a better one, albeit a smaller one in case I have to eat it all again. Toodles!